Murray died on November 5, 2017 at his home in Toronto. By any measure he was one of Canada’s most successful entrepreneurs, a great philanthropist and a true inspiration to many. Murray is what we at Creaghan McConnell Group call a “builder.” He (and others like him) build businesses that endure. They often start from humble beginnings, and build something that grows over time. They ensure their business transitions to the next generation. And they contribute to communities in multiple and lasting ways. CMG is privileged to serve these builders, their families and the advisors that support them. We even commissioned our own independent research to confirm the contributions these families make to Canada, its economy and our overall fabric. They demonstrate consistent leadership, mostly through their actions, even though their names aren’t known to all of us. It’s why we believe now, more than ever, Canadians should know Murray Koffler’s story. Nearly 20 years later, Murray had a dream. He envisioned a concept that would offer individual pharmacists (like he and his father) the opportunity to combine their own independent business ownership, professional practice and cooperative services under one brand, with the support of a corporate entity. It was 1962. Shoppers Drug Mart, one of Canada’s most iconic brands, was born. And Murray’s vision for pharmacists remains a cornerstone of the company today. But Murray wasn’t only the author of one of Canada’s great business success stories. He was also a community leader and philanthropist. A recent article in The Toronto Star offers a glimpse of his care and passion. He and his wife, Marvelle, founded the Marvelle Koffler Breast Centre and the Murray Koffler Urologic Wellness Centre – both at Toronto’s Mount Sinai Hospital. In doing so, they set a new standard for patient-centred breast cancer care. Breast Centre director Dr. Pamela Goodwin recalls that when she was having trouble finding funding for drug trials investigating the link between obesity, insulin and breast cancer, Murray reached out to the head of a Canadian pharmaceutical firm and, in 10 minutes, was able to arrange for the drug and placebos to be provided at no cost to the hospital. It’s an arrangement that continues to this day. A man who cared deeply about the right thing being done. 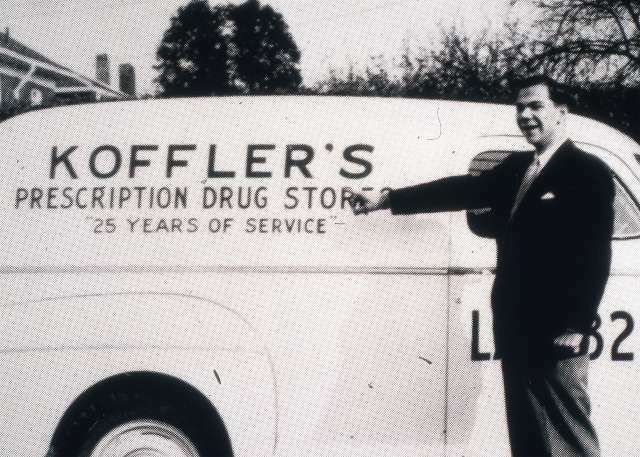 We never knew Murray Koffler, but we are inspired by him. We invite you to read more about his life and legacy – and the strong example he offers to all Canadian builders.